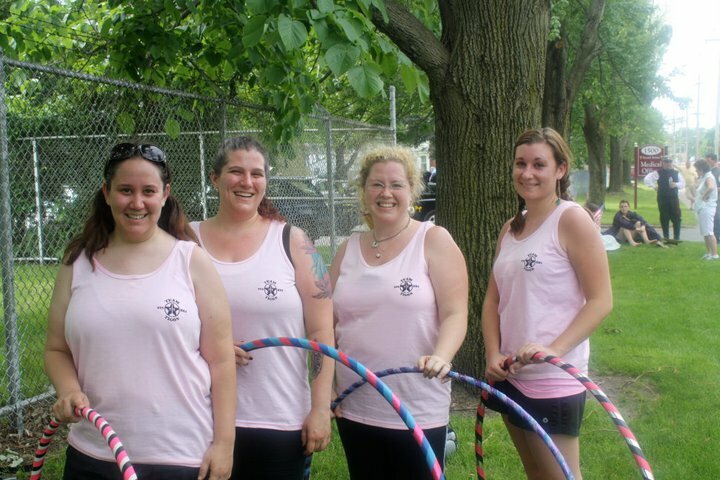 I am wayy behind on blogging and have so much fun hoopy things to show and tell everybody! 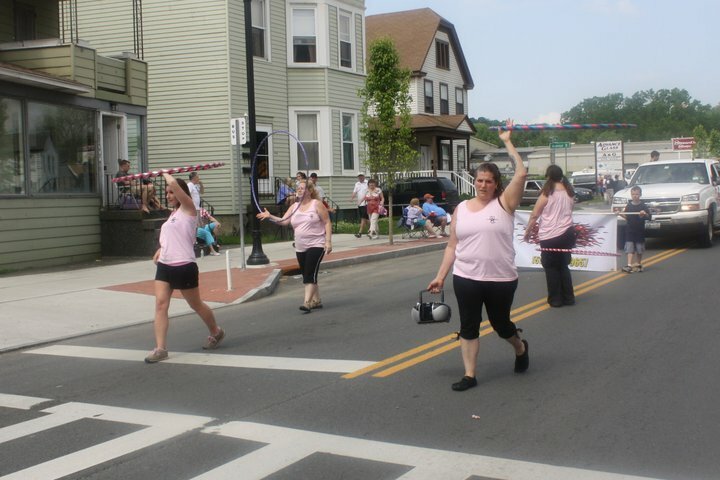 OK first off, me and my fellow hooper friends were in a parade a couple weeks ago! 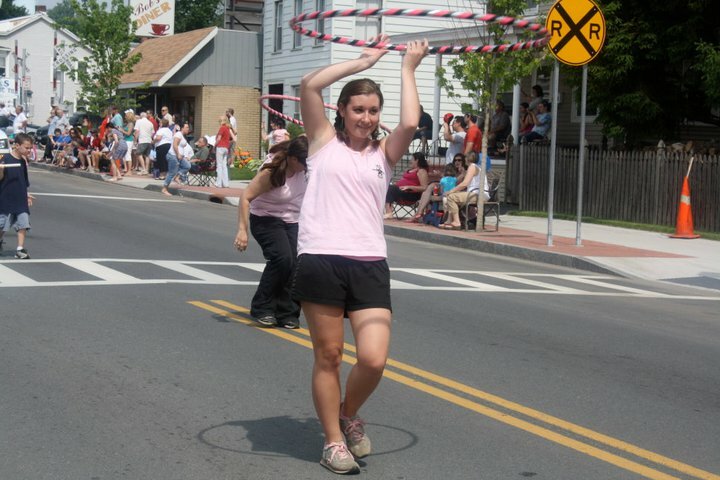 Hooping! 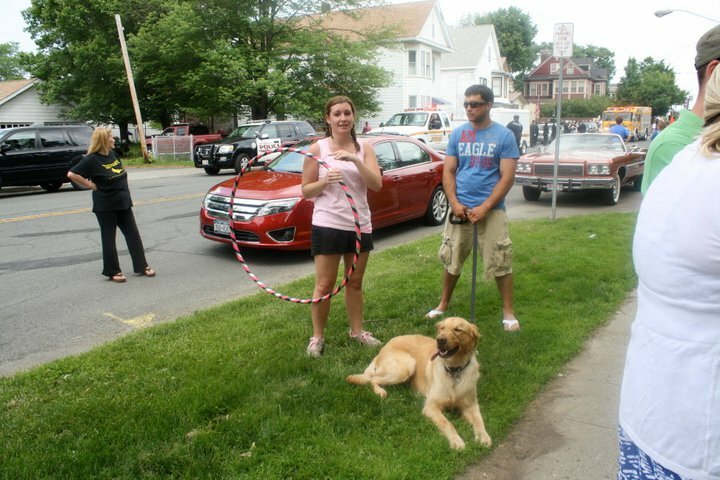 We joined the Tigon Academy (where we have Open Hooping every week) in Watervliet’s Memorial Day parade. Here is a picture of the 4 of us in action. It was a lot of fun even though it was sooo hot out. We were all exhausted by the end of it, but it was a great time!